Despite a cap on fines in Aberdeen, tenths of thousands of penalties have been racked-up by readers since 2016. And in the Highlands, where the number of fines have been steadily increasing in recent years, the sums levied by frustrated librarians are even higher. 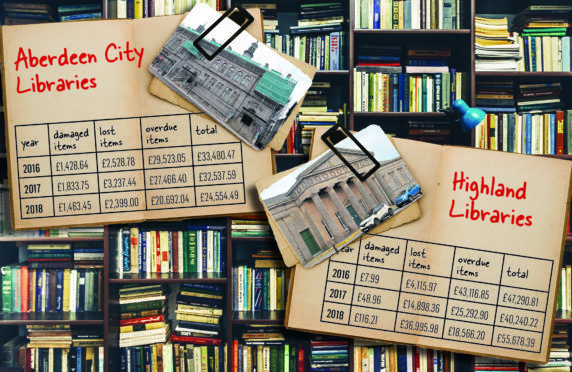 In the Granite City, overdue library books have resulted in £77, 681 worth of fines being dished-out since 2016. In addition, careless borrowers have had to pay out a further £8,165.22 for losing items checked-out from city libraries, while damage to books, CDs and DVDs has cost them another £4,725.84. Speaking on the figures, and the £24,554 levied last year alone, an Aberdeen City Council spokesman said: “Libraries collect fines for items overdue to encourage people to return items on time so they are available for other readers. “There are more opportunities available for people to keep track of their books by checking their library account online and they can also renew items online. Aberdeen City libraries have seen a number of late returns already this year, some so old that the fines have become redundant. 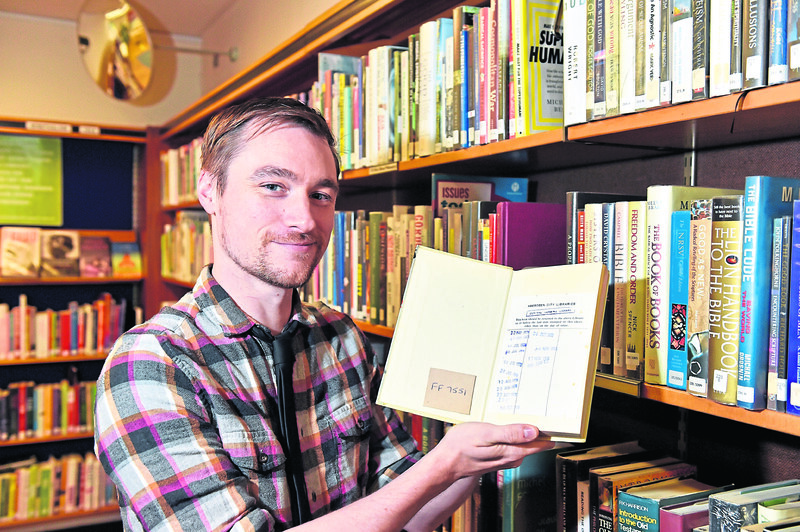 At the start of the year, a 43-year-overdue copy of “The Touch of Danger” was returned to Ferryhill Community Library. The novel was so old it was impossible to tell who had borrowed it in the first place. And last week a CD returned by “Neldie & Dod,” was delivered home by a dedicated postie. VE Day: The Dancebands was delivered to Aberdeen Central Library after being left in a post box in Kyle of Lochalsh with nothing more than a note that simply said: “Best of luck postie, from Neldie and Dod”. With no packaging or postage stamp, the Royal Mail worker spotted the sticker on the CD saying ‘City of Aberdeen Library Services’ and managed to return the item safely. VE Day: The Dancebands was removed from the system after it updated in 2015, so it is unknown when the item was borrowed or how overdue it was. The library sees an increase in overdue returns at this time of the year as people having clear-outs and find forgotten items. Further north, an even higher amount of money was brought in by Highland libraries. Damaged items resulted in £173.16 in fines, while lost items have resulted in £56,010.31 in penalties since 2016. Overdue items have brought through the most, however, with £87,025.95 worth of fines made in the last three years. And unlike Aberdeen libraries, the amount of fines have been increasing in recent years. A spokesman from High Life Highland, which runs the region’s libraries, said: “We send customers prior notification emails for items that are about to become overdue and they can renew items online or through the High Life Highland libraries app.